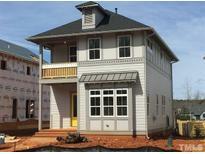 Below you can view all the homes for sale in the Claremont subdivision located in Chapel Hill North Carolina. Listings in Claremont are updated daily from data we receive from the Raleigh multiple listing service. To learn more about any of these homes or to receive custom notifications when a new property is listed for sale in Claremont, give us a call at 919-759-5770. Claremont: camaraderie, sidewalks, swim club, fitness center, playpark, field+ green space. 5min-I40+Dwntwn Carrboro, 10min-UNC+15 min-Duke. MLS#2245844. 150. Neighborhood ammenities including pool, playgrounds, walking/biking trails and more. MLS#2241886. 318. Easy access to trails in UNC North Forest. MLS#2241488. 3665. Easy access to trails in UNC North Forest MLS#2241466. 3665. Pool only a short walk. Don't miss this beauty! ! 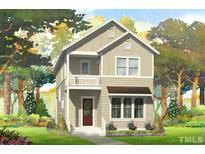 MLS#2239386. 4869. Location can't be beat in Chapel Hill, close to Carrboro and also in Chapel Hill schools! MLS#2206070. 3665. In the heart of Chapel Hill! MLS#2203914. 4963. Attached two car garage, covered front and back porch. MLS#2180861. 3665.